Keep Hot Foot's InvisiNet exclusion netting between you and pest birds! Exclusion netting or bird netting is one of the most effective way to eliminate problem birds, solving the problem immediately once it is installed. Ideal for protecting semi-enclosed structures or blocking off other areas where birds like to roost, bird netting literally places a barrier between the birds and their landing surfaces to provide 100% protection when installed correctly. Traditionally, exclusion netting can be ugly, heavy, and at risk of stretching. That's why Hot Foot made a premium line of InvisiNet exclusion netting. Soft to the touch and does not need to be pulled into shape as do traditional knotted polyethylene nets. 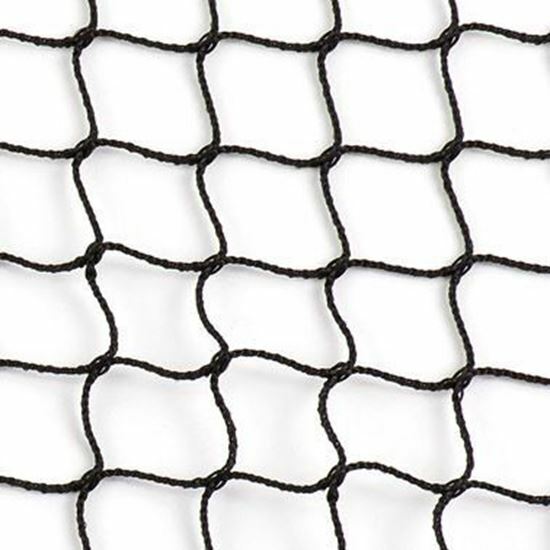 Strong, light-weight, and durable - Hot Foot InvisiNet Knotless exclusion netting is one of the most effective ways to keep pest birds away, and is virtually invisible for better aesthetics. Guaranteed not to stretch or sag over the life of the netting. It's also durable with a breaking strain of 44lbs or greater, and resistant to UV breakdown - guaranteed for 10 years! Hot Foot's InvisiNet exclusion netting is effective against all medium-sized and bigger roosting birds - the most persistent and destructive birds.